TExES LOTE Spanish Review – Get ready for your test. Spanish Instruction is becoming a big part in education, especially in states like Texas, which has a strong and growing Spanish-speaking population. Educators who want to teach Spanish must pass the TExES Languages Other Than English (LOTE) – Spanish (613). 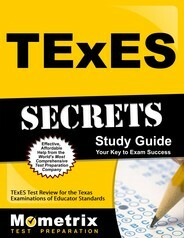 The exam certifies that teachers have the entry-level knowledge to teach in Texas schools. This guide provides an overview of the test, its contents, and a recommendation on the best study materials you can buy to help you prepare for the test. This test has three types of questions. There are 120 selected-response questions, three constructed-response speaking tasks, and five constructed-response writing tasks. How will I take the speaking portion of the exam? Candidates will be given a headset and microphone for the speaking portion of the exam. Will I get special writing materials during the test’s written portion? Yes. Candidates will have access to an on-screen character selector. You can find more details in your exam materials. The test time is 4 hours and 5 minutes, but you’ll be at the test center for about five hours. That includes time for the exam, tutorials, and an optional break. Is there a fee to take the TExES Languages Other Than English (LOTE) – Spanish (613)? Yes. Candidates pay a $116 test fee. Other fees may apply. Instruction and Assessment tests knowledge of language theories; teaching strategies based on student needs and learning styles; assessments to help students learn and communicate; and factors that impact learning a second language. Cultural Understanding topics include language influences; differences and similarities among cultures; and cultural perspectives. Interpretive Listening includes oral communication; communicating in different time frames like the past and present; communicating via lecture, announcement, and other contexts; and making inferences through Interpreting and evaluating oral messages. Interpretive Reading includes examining summaries and passages and understanding the content; idioms; and applying cause-and-effect, point of view, and other critical-reading skills. Written Expression topics includes vocabulary, idioms, and appropriate language use; writing in several forms, including letters; using formal and informal tenses in writing; and cultural writing and sensitivity in writing. Oral Expression topics includes vocabulary, idioms, pronunciation and intonation. What’s the test’s passing score? The minimum passing score is 240. Test scores will be available within 28 days of your test date. How do I get my test score? Candidates can access their test score via their online account. When can I take the TExES Languages Other Than English (LOTE) – Spanish (613)? Candidates can take the exam each month during two-week testing windows. You can check the specific dates on the exam website. Candidates can take the exam at test centers in Texas, Puerto Rico, and Mexico. You can search for a location on the exam website. What identification will I need to bring on test day? Please bring two forms of identification, a primary and secondary form. The primary ID should be a driver’s license, passport, or another piece of government-issued ID. The second piece of identification must contain your name and photo or a name and signature. Make sure to arrive early so you have plenty of time to check in and don’t run the risk of being late. Late arrivals may not be able to take the exam. Are any items banned from the test room? Yes. You should consult the test center rules because there is a long list of items candidates cannot bring into the test room. Those items include all electronic devices, like mobile phones, and certain clothing items. What study materials will help me best prepare for the TExES Languages Other Than English (LOTE) – Spanish (613) exam? The study materials from Mometrix are the ones you need. Our study guide will help you prepare for the topics you’ll face on the test and offer strategies for tackling questions that often give candidates the toughest time. 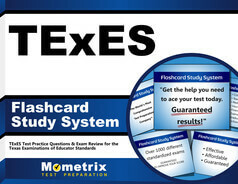 Our flashcards are easy to use and provide an excellent and portable study tool that you can take anywhere. These are the tools you need to prepare for this exam.